The M13/40 is the main Italian battle tank of WW2. The kit is best put together with epoxy glue or super glue. Firstly trim off any excess metal caused by the filing channels. This should be done with a sharp knife. If you have time it is also a good idea to scratch(key in) any surfaces that are going to be glued together. Fit and glue the rear hull unit to the main hull. Use the track mudguards as a guide to lining the parts up. 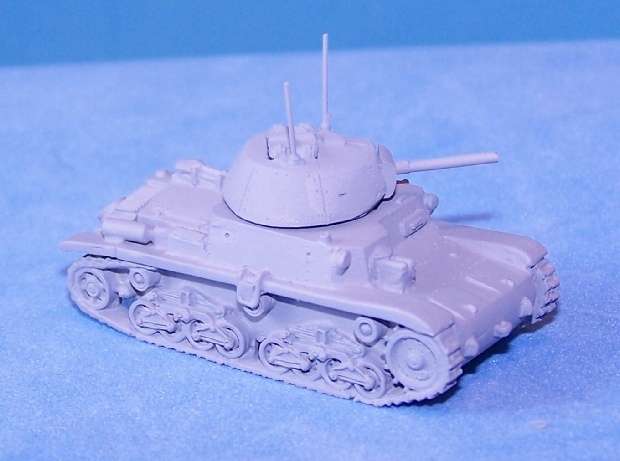 When this assembly has dried/set glue on the left and right track units.The left and right refers to the position as if you were driving the tank. Notice that the tracks taper out at the top of the track units. This is because the track was hidden within the long track guard and was not usually visible. The turret has a gun assembly. The top of the gun mantlet has a recess to cover the join between gun and turret. Push the gun up high into the recess on the turret front. The turret can either be made with the hatches closed or with a commander in place. This is a side view. Notice that the track units protrude until the track makes a constant curve with the front mudguard. The tracks taper into the mudguards. The aerials are just wire drilled into the turret points. 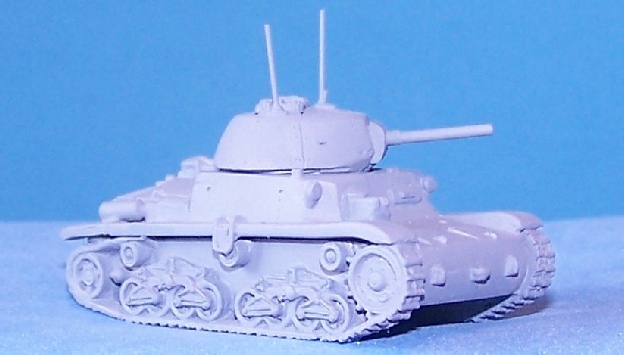 The gun mantlet pushes up to overlap the top of the turret face. The rear hull unit overlaps the main hull with the cylindrical exhausts.